Layer house will be hosting the second festival of contemporary collage; the main exhibition, workshops, presentations and mingling with local and international artists in the art district of Kranj. KAOS is bringing an exhibition of contemporary use of collage and numerous accompanying events. This summer, it will be hard to avoid the creative chaos! ▷ Open call and an invitation to all the artists! Layer house is inviting all artists from close and far to join the open call for the festival of contemporary collage – KAOS. We are looking for collage technique works for an exhibition in the Škrlovec tower gallery. The application is open until May 8th. The jury for the selection of the works that will be exhibited on KAOS Festival will be Petra Čeh (the curator of the exhibition, SI), Sonja Švec Španjol (art historian, HR) and one selected collage artist that will also participate on artist in residency exhibition (we will announce the invited artists on the 15th of April). Your original artwork shouldn’t be older than 3 years. 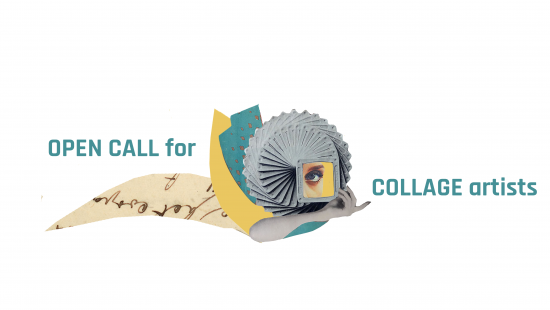 We invite all artists with affinity to collage technique to participate on the open call. We accept art works in collage technique made from all possible materials and from different branches of art. The theme of the second edition of the festival is ´Leftovers´. Your work has to refer to the theme in any imaginable way you choose. The only limit is size, art work shouldn’t be wider than 60 cm. You can only apply ONE art work. memories of days past caught in a picture. Leftovers are much more. From Leftovers we create kaleidoscope of memories, feelings and lust. The kaleidoscope of Leftovers becomes a selection of things that we wanted to leave behind. Sometimes you can find some Leftovers on dusty shelves. Some Leftovers we keep forever and art has the power to awaken them and put them back to life. Art has the power to create new poetry from their stories. The selection will be done in the week from 9. 5. to 14. 5. 2019. The selected artists will receive an email. ▷ Poziv in povabilo umetnikom! Layerjeva hiša vabi umetnike od daleč in blizu, da sodelujejo na pozivu festivala sodobnega kolaža KAOS. Na pozivu iščemo dela za osrednjo razstavo festivala KAOS, ki bo v Galeriji Stolpa Škrlovec. Poziv se odpre s 1. aprilom in zaključi 8. maja 2019. Vaše delo mora biti ustvarjeno v zadnjih treh letih. K sodelovanju vabimo vse umetnike z afiniteto do kolaža. Sprejemamo dela v tehniki kolaža iz raznolikih materialov in likovnih zvrsti, edina omejitev je velikost, umetniško delo je lahko široko največ 60 cm. Tema druge izdaje našega festivala so “Ostanki”. Delo lahko izbrano temo obravnava na povsem poljuben način. Prijavite lahko največ ENO delo. Ostanki niso le drobci ali koščki razcefranega papirja. so spomini preživetih dni ujeti v sliko. Kalejdoskop ostankov tako postane izbor tistega, čemur smo se morda želeli odreči, zavestno odstraniti. Včasih ostanki vendarle nenamerno pristanejo na prašnih in prepišnih policah. Nekaterih nikoli zares ne zavržemo in umetnost je tista, ki jih zmore obuditi, reinkarnirati in iz njihovih zgodb splesti povsem novo poezijo. Žirija bo avtorje izbrala med 9. 5. in 14. 5. 2019. Izbrani umetniki bodo obveščeni preko elektronske pošte.